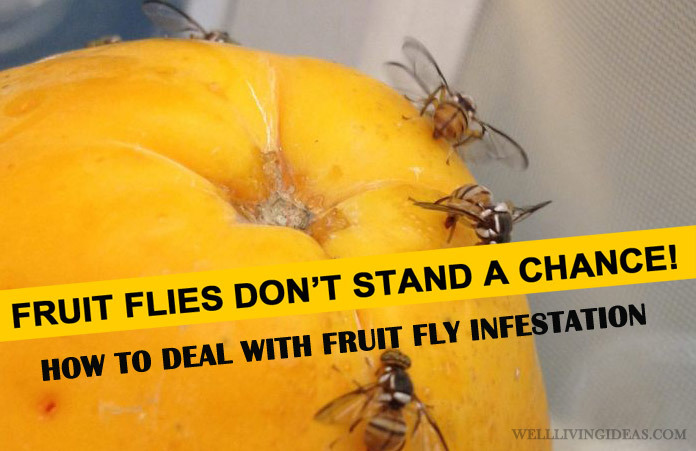 Perhaps one of the most repulsive things is to shoo away those fruit flies when you have just sat down to eat. Or worse, to come back to see the fruits you had left behind being infested with those tiny pests. They are literally everywhere- in homes, apartments, restaurants. Let the name not mislead you though. Fruit flies are equally well disposed toward any decomposing garbage, for example, poop or a dead rat. And then it heads straight toward your fruits. And because they multiply very fast – they can lay up to 500 eggs on a fruit surface with an 8-10 days incubation period, they can soon turn into a nightmare if their progress is left unchecked. Fruit flies are often mistaken for gnats, though they are a bit larger and have browner heads. Also, while both gnats and fruit flies eat rotting food, the former are especially attracted to fermenting and ripening produce, as they thrive on the fermenting bacteria and the yeast. So you need to be very sure about what you are dealing with before making your move. Fortunately, most of the methods are usually effective against all of them. Scientifically known as Drosophilia melanogaster, fruit flies have bright red eyes and are one third the size of the house fly (around 3 mm including the wings). They breed in drains, empty bottles and cans, mops and cleaning rags, garbage disposals and compost pits. This is why it is extremely important to maintain cleanliness, though even your moist toothbrush can attract them. Among the smallest flies you are likely to meet, fruit fly numbers tend to increase in late summer and in autumn when fruits are harvested. They are also attracted to fermented products like beer and wine. So be careful about leaving empty drinks bottles around your place. Among the vegetables, old potatoes and onions are their favourites. They are receptive toward most of the organic components. So they also become very good carriers of diseases caused by bacteria. Many people tend to cut out the infected portion of a fruit or vegetable that had been previously infested with fruit flies and consume the rest. As the flies lay eggs on such surfaces, the larvae often move deeper into the fruit. So they end up getting consumed, causing problems like intestinal discomfort and diarrhea. Apple cider vinegar is made by fermenting apple, and the smell of fermentation is the thing that attracts the fruit flies the most. Heat around ½ cup of apple cider vinegar (so that the flies can drown in them). Make sure that the smell is all around. To ensure the drowning, you can place a piece of ripe fruit in it and allow it to break down. Put a drop of liquid soap into the mix to break the surface tension of the vinegar so that the flies are not able to sit on it and sink instead. Put a rolled-up piece of paper on the mouth so that the flies that go in are unable to climb back. In case the flies do not drown, you can put the container in the freezer for around 20 minutes if you are okay with it. Put some pieces of very ripe or rotting fruit in a glass jar and firmly sheath the mouth with plastic. Use a toothpick to prick some holes on the sheath. Place a few such jars around the house where you know they would attract fruit flies. Once you see the jar is full of them, put it in a bucket full of warm soapy water and keep it submerged for 10 minutes till you are sure that they are dead. Repeat this as many times as you can. It is one of the easiest ways around as you can come back to the jars at any time at your disposal. Just like us, fruit flies get intoxicated by red wine as well. Just put some red wine or red wine vinegar in a bottle and let it be. Fruit flies are strongly attracted by red wine. The files will come after it like anything, and die of an overdose. You can also put out the same thing with perforated plastic sheet wrapped around the mouth. You don’t need expensive wines for this. Cheap brands, or even some leftover bit from your last drink would serve the purpose. In the absence of red wine, you can try this out with some beer. You can even try out something simpler. Just put a couple of drops of liquid soap on a bowl of water and put it under a light, for example the light over your stove, and let it remain for the night. The reflection of the light from the surface of the water will attract the flies. As soap breaks the surface tension, the flies will sink and drown. Having been in use in New England since 1850, this comes down from the Old Farmer’s Almanac. Mix 1 pint of milk with ¼ pound of raw sugar and 2 ounces of ground pepper in a saucepan and simmer for 10 minutes. Pour this on shallow dishes and place them around the house. You can add a drop or two of dish-soap to the mix to break the surface tension. Fruit flies are attracted by this mix and will drown in it. You can also do this with some hot water, a teaspoon of yeast and a small amount of sugar to activate the yeast. Cover the jar of the mix with a perforated plastic sheath. This too acts as a very good fruit fly trap. This is a very good home remedy for getting rid of fruit flies from your home. Not only does its smell help attract the flies, but its sticky, heavy nature also acts as a natural trap for the soft bodied, light weight creatures. Spread out some honey on an index card. Larger cards are better because they trap more flies. Tape the card somewhere, for example on a window pane. When you see the card is full of those trapped tinies, take it out from the tape and dispose it off. When disposing off the dead fruit flies from your traps, it would be best to do so at some distance from your house. If you wash them down your sink, make sure to run the faucet for a minute at least. There is a large variety of fruit fly spray products available in the markets. 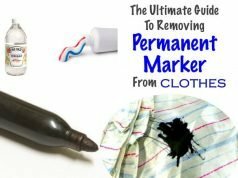 These are the best if you want to be quickly rid of your problem. But remember that not all of these over-the-counter chemical control products are environment friendly. One of the most popular fruit fly sprays available in the market is CB 80 Pyrethrin Aerosol. TERRO fruit Fly Trap and BEAPCO Fly Traps are some of the popular fruit fly traps and come at very cheap rates. The TERRO Fruit Fly Trap has an apple-shaped container where you need to pour the food-based liquid. BEAPCO, on the other hand, needs you to fill it with non-toxic solutions that would attract the flies. You need to keep them at strategic locations. There are also some eco-friendly fruit fly repellants that are non-toxic and which you can safely use in your home, like Outbreak Defender and Fruit Fly Fighter. You can spray these anywhere without worrying about toxic effects. This pest control method is really helpful when you want to deal with fruit fly infestations over large areas. They form a non-aqueous layer over the surfaces where the flies infest, thus cutting off air supply and making it toxic for the flies at once. This also takes care of the larvae that home remedies may have missed. There are popular fogging products like the Burgess Insect Fogger for outdoor areas and Hot Shot Insect Fogger for indoor areas. Fruit flies breed in drains, and often enter your kitchen through the drain of your sink. The trapped organic matter in slow drains and faulty water ducts is a very big attraction for those little creatures. However, this method may not work in case the flies are breeding deep in the drainage system. Do not pour bleach directly into the sink. Dilute it a bit with some water before using it. Do not forget to put on protective gear to cover your eyes and mouth before forming the mixture. Many people have also found ammonia to be effective, but DO NOT MIX BLEACH WITH AMMONIA as the fumes are fatally toxic. While this doesn’t kill fruit flies, it can drive them away. Put some hot water in a spray bottle and add 10 drops of lemongrass essential oil to it. Shake the mixture well. Spray it on your windowsills or on doors or on any area you see fit, or directly on the flies themselves. This is not something many people know of. Rue is a herb with a strong scent known for medical properties. And it has been found to ward off the fruit flies with its aroma, which is repulsive to them. Thankfully, for humans it is pleasant. Just put some sprigs of rue in between the fruits. You will see that the number of fruit flies start rapidly falling before they disappear altogether. However, a real serious infestation would call for stronger methods. Besides these, you can follow the following standards for the extermination of fruit flies altogether. Remember that cleanliness is of the utmost importance where fruit flies are concerned. 1. Thoroughly wash the fruits and vegetables that you buy before cutting them. Boil them well to kill off the larvae. 2. If you want to stop fruit fly from breeding, regularly clear your garbage, especially the one you keep in your kitchen. Use a covered bin. You don’t want fruit flies nesting right under your nose. 3. Fruit flies can even breed in your bathroom. So don’t let waste products like sanitary pads accumulate. 4. Never leave your food uncovered, for however much short time it maybe, and store them in the refrigerator as much as possible. Never keep over-ripe fruits and vegetables out in the open. 5. Eat in a clean place. Keep away from unhygienic eateries. 6. Regularly remove the dead leaves that are shed by trees. Before watering your houseplants, allow the topmost inch of the soil to dry out so that the moisture does not aid in fruit fly breeding. 7. Regularly clean your doors and windows and counters. Make sure that they are secure and made of moisture resistant material. Don’t allow moisture to accumulate anywhere. 8. Regularly check dark corners, moist places and areas likely to get dirty for infestation. 9. 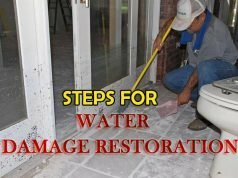 Repair any issues with the plumbing as soon as possible. Regularly clean the drains and don’t allow any organic matter to accumulate. 10. Clean your crockery as soon as possible after the meal is over. Thus it can be seen that fruit flies are closely linked to cleanliness. Their occurrence is an indication of the accumulation of garbage. Effective garbage disposal is the first step to prevent fruit flies from breeding. Remember to repeat the above mentioned methods as long as you need to completely root out the flies. Harmless though they may look, fruitflies have been known to cause some rather serious diseases and digestive disorders.